What Kind of Property Management Do Foreign Service Families Need? Finding an excellent management company takes time–and you should prepare yourself by interviewing several firms, armed with the following key questions. These are the same questions any homeowner should ask–but they’re particularly important for landlords who are going to be in different countries and time zones. You’ll need to rely on your property manager. You do not, for example, want to find out after your relocation that your PM didn’t do a proper initial tenant screen. The consequences could include going for many months without income from your property–and dealing with an eviction from the other side of the world. I included WJD’s answers to the questions, so that you can learn more about our services. an equally thorough background check using public records–especially any record of criminal convictions or civil judgments. an up-to-date rental history, including eviction history and landlord references. Note: Some management companies allow applicants to pull and supply their own credit history. Make sure any firm you consider does the research independently! At WJD Management, we run a thorough screen on every applicant. We use industry best practices, as well as premium software applications, to vet prospective renters for our clients. Our process is legally compliant, systematic, comprehensive, and effective. How do we know it’s effective? Though we manage 400+ properties in our rental portfolio, we have not had to evict a tenant yet. Which brings me to the second important question you should ask a property manager. 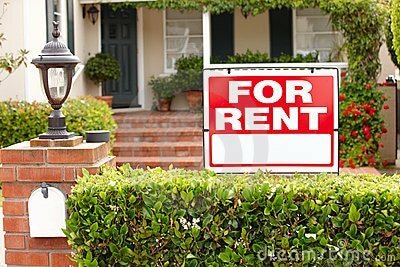 How many times have you had to evict a tenant from a rental property? WJD Management is proud to cite its record of 0 evictions in the past 10 years. Many prospective clients are surprised to hear that, assuming that we must routinely deal with at least a certain percentage of evictions, due to the volume of rentals we manage. However, our screening process is tested, and it works well to protect our clients. Does the firm have longstanding relationships with a group preferred vendors across all home services specialty areas? When you choose to work with a management company who has established relationships with an elite group of tried-and-true contractors, you (and your tenants!) will get a higher level of service across the board. Work requests will get faster responses, and repairs will happen much more economically and efficiently. Very often, because of the loyalty they show vendors, management companies can get (and pass along to their clients) volume discounts. WJD Management has worked with an excellent crew of home services specialists over the years. We have formed lasting and valuable relationships with licensed contractors who offer quality services at competitive rates. We receive volume discounts from many of our vendors, and we pass those savings directly to our clients. How quickly does the company pay owners? Know the timing of your cash flow. Will you have access to an online portal to check payment status and/or update your banking info? WJD Management remits payment of rents received on the 3rd of each month (even if the date falls on a weekend or holiday). We deposit funds electronically into the client’s preferred account. Our online portal allows owners online access to up-to-date financial information (including payment status). Owners can also use our online portal to update their banking information. Do the clients have to set aside a reserve fund? Some professional property managers require their homeowner clients to put a reserve fund into escrow–and in many cases that mandated reserve is the equivalent of one month’s rent (or more). The purpose of this policy is to make sure any costs incurred by the PM in getting timely repairs or replacement parts are covered. Those who do not require a reserve will pay those expenses through the month-to-month rent proceeds and then remit the rent (minus expenses) to the homeowner. WJD Management’s policy is not to require a reserve fund of its homeowner clients. We make it a priority to keep your cash flow as positive as possible, and part of how we do that is to not tie up any of our clients’ money in escrow. Does the PM firm report regularly and thoroughly to homeowners? Does it provide easy online access? In general, will they make it easy for you to get your hands on any information that’s important to you? Does the professional property management firm provide contractor services at cost? Markup of contractors can take a big bite out of your bottom line and could even prevent you from having positive cash flow. Find out what the property manager’s policy is when it comes to fees you’ll be charged. If a company applies a markup to its contractors’ charges. That markup might be as much as 10 percent, which adds up quickly when a system like a furnace or heat pump needs repairs. WJD Management is a fee-based company, and we’re not in the business of marking up vendor charges. We price our services in the most straightforward way possible, charging homeowners 8 percent of the monthly rent price and requiring a one-year contract. We believe it’s a conflict of interests to tie our own revenue to higher contractor expenses. The percentage of monthly rent that we charge covers all our services. We don’t markup invoices. In fact, we pass on the savings we get from our preferred vendors to our owners. Our job is to help you maximize our clients’ investment income, not to nickel and dime them. Does the Property Manager Provide 24/7 Emergency Service? WJD Management has procedures in place to handle emergencies at all hours quickly and professionally. Contractors across all service areas are on call at all times to address water-related issues, plumbing emergencies and after-hours problems that may arise. Is the lease the PM firm uses fully legally compliant? Ask the professional property management companies you interview whether their leases have been developed (and vetted by a real estate attorney) so as to be fully legally compliant. As the owner of the property, you’ll be the one who’ll have to pay the consequences for non-compliance. Additionally, find out whether the company observes all federal, state, and local fair housing laws. WJD Management has developed a lease that complies fully with all federal and state laws. Moreover, we maintain an active membership in the National Association of Residential Property Managers (as well as leadership at the local chapter level). Our lease reflects our up-to-date knowledge of landlord-tenant laws, and it is reviewed at regular intervals by our attorney. Moreover, we do not discriminate in our tenant application and screening process. We are fully compliant with all fair housing laws. Does the company sell real estate as well as manage properties? WJD Management is a licensed real estate brokerage that does NOT have a sales arm. That means that property management is all we do–we do not use rental properties as a means to a commission. And therefore, we have no conflict of interest. As a brokerage specializing in independent residential property management, we develop relationships with local real estate agents. We pay them fees and commissions for bringing us new clients and qualified tenants. We focus on managing our clients’ properties, and we allow the agents we work with to focus on what they do best: sales! How will the company determine the market price for your rental? Will their market analysis be based on their own experience or on comps? Do they have access to premium real estate services such as the MRIS? Do they search Craigslist, Zillow, the MLS, internal comps or a combination to arrive at a rental rate? 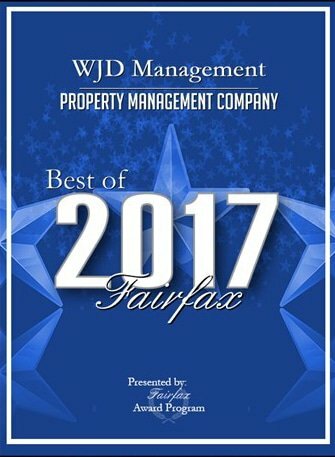 WJD Management uses a tested process for gathering true comps and performing an accurate rental market analysis for each of the properties we manage. As a licensed brokerage, we maintain a subscription to the MRIS and draw upon that data to compile a rental market analysis that we believe is the best and most strategic in our region. Some PM firms draw only upon comps in their own portfolio, but that’s a lazy approach. We examine all market data. For a look at what goes into our process, see this article. How will the company advertise your property? Have the company walk you through its marketing plan, including where advertisements will be posted. Ask whether they take professional pictures to include in advertisements. Great property photos are crucial for leasing homes, second in importance only to setting a fair market rental rate. Renters now have access to pictures of hundreds of properties as they search online, compared to the days when brokers would show them only a select number of homes. Pictures are the key to capturing potential tenant’s interest and getting them in the door. We maintain our own listing of properties through the wjdpm.com website. If you would like to learn more about WJD Management, please review our comprehensive Management Program guide. If you are ready to rent your home, jump right in and take advantage of our exclusive FREE Rental Market Analysis. Also, be sure to follow us on Facebook, Twitter, LinkedIn, Instagram and Pinterest for tips, ideas and updates.